Great Summer Deal at the InterContinental Tampa...For a Good Cause, too! Hey everyone! It&apos;s Lisa and I am back to share with you a GREAT (and meaningful) deal taking place at one of Tampa&apos;s most luxurious, upscale hotel properties this summer! WHAT: To honor the men and women of the United States military, and the loved ones who support them, the InterContinental Tampa has created a new Made for the Military travel package starting at just $159. Starting on Mother’s Day, May 10, 2009 and continuing through Father’s Day, the package offers significant savings, plus the option to send a personalized care package to a member of the military. Packaged and shipped courtesy of the hotels, each care package will include homemade cookies and a personal note from the guest. 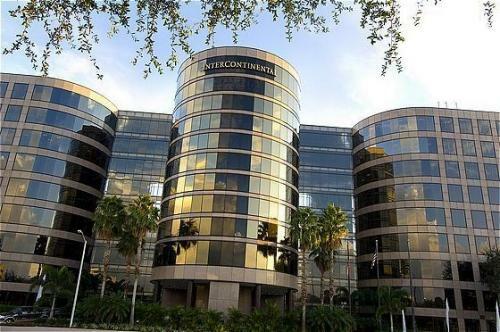 WHERE: InterContinental Tampa is convenient to downtown Tampa and Tampa International Airport. With all of the amenities and service the InterContinental name ensures, the AAA Four Diamond property offers complimentary airport transportation, complimentary wireless high-speed internet in guestrooms and public areas, a rooftop swimming pool, fitness center, Shula’s Steak House and is within walking distance shopping and Tampa Bay dining. InterContinental Tampa - (866) 402-0758 and ask for code ILUPR www.intercontampa.com *Packages subject to availability and certain restrictions and blackout dates may apply. Rooms based on double occupancy. How can you pass this up?! Get online a book your trip ASAP, and stay tuned for more Tampa Bay hotel updates!